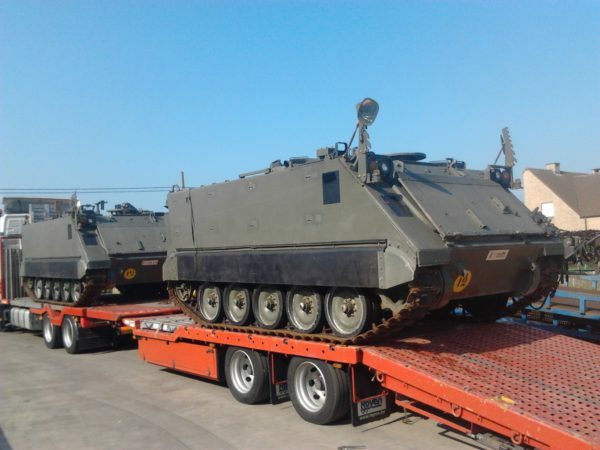 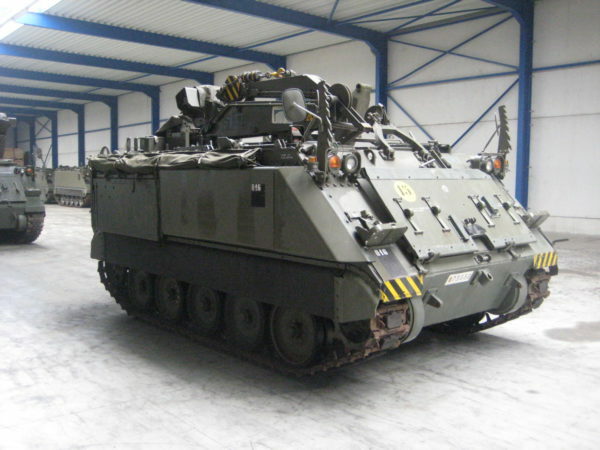 The M113 is the ultimate American armored personal carrier, it is the most-produced American armored fighting vehicle in history with 80000 made. 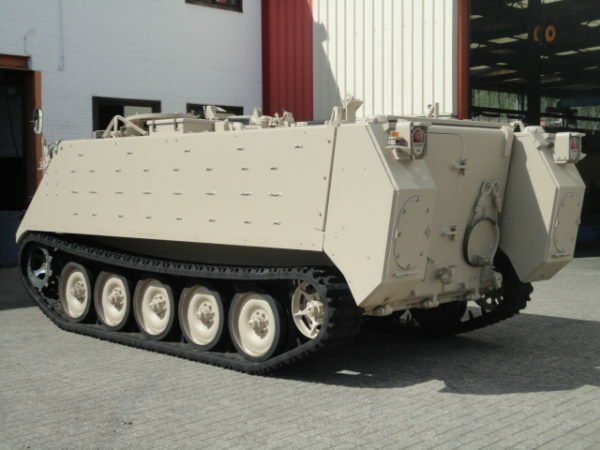 It is essentially an armored box on tracks which has lent itself to a variaty of specialized designs. 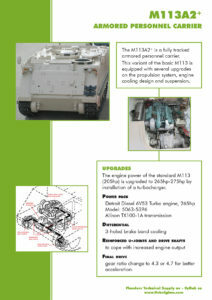 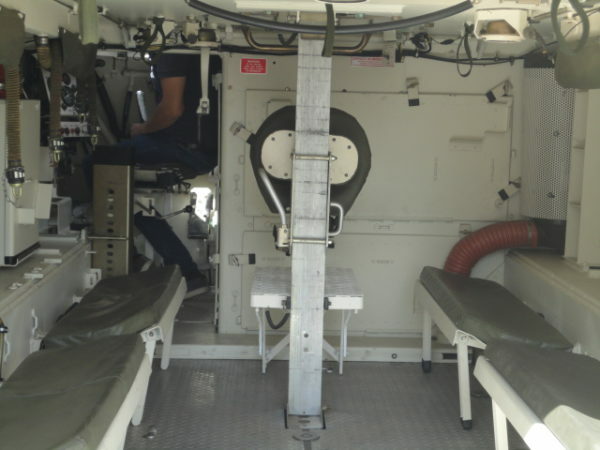 In the M113A1 the petrol engines was replaced by a 6V53 diesel engine. 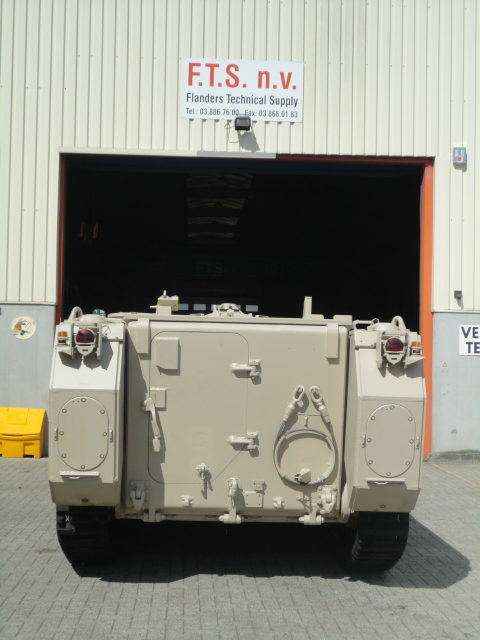 This increased the vehicle’s range and decreased its flammability. 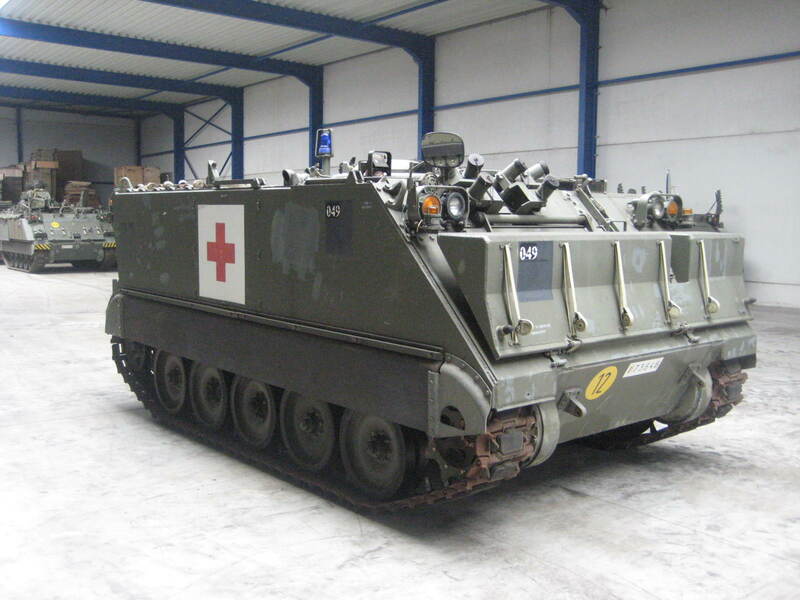 Lateron the dieselengine was upgraded with a turbo which increased the M113 power and speed. 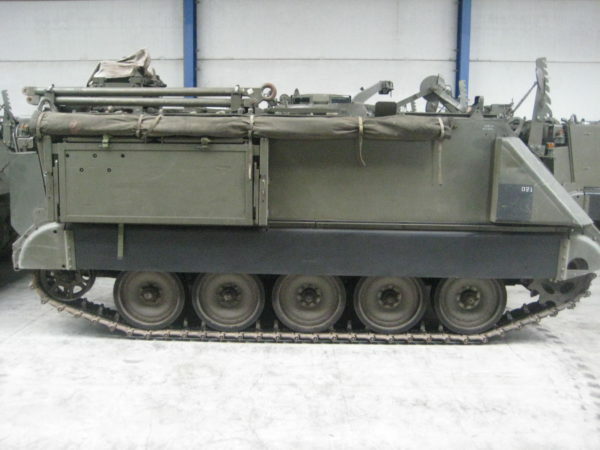 A larger fuel tank further improved M113’s range. The M113A2 introduced reliability enhancements to the M113 line. The engine cooling layout is modified and improved. 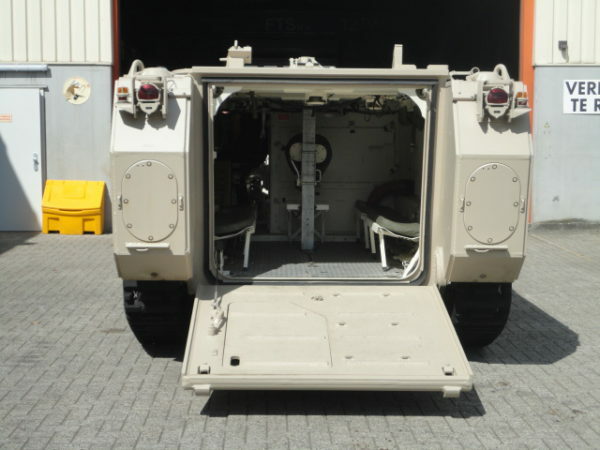 New higher-strength torsion bars are capable to carry more weight and increases ground clearance of the vehicle. Stronger rear idlers are installed and raised 2” (5,1 cm) to reduce the incidence of ground strikes. 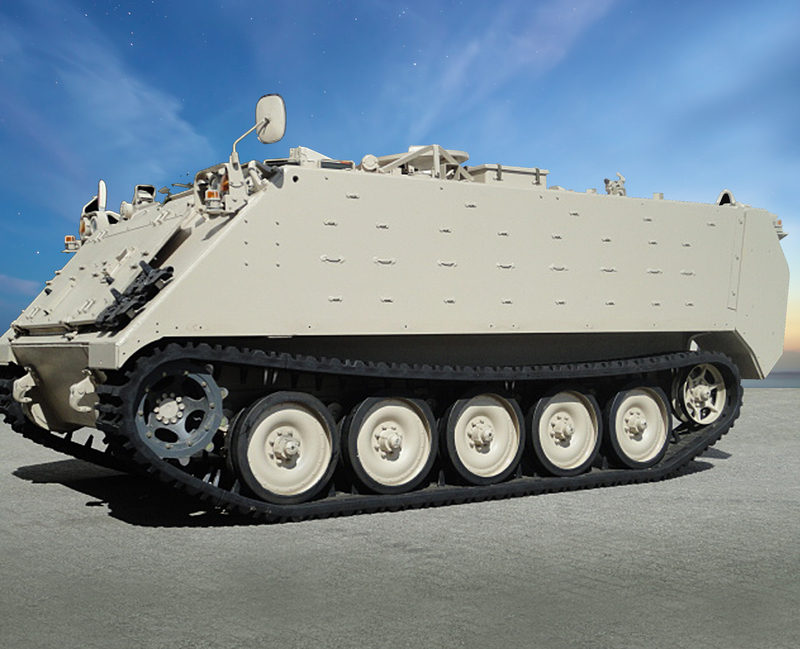 A new model of shock absorber is used and an extra set is fitted on the second road wheel on each side of the vehicle. 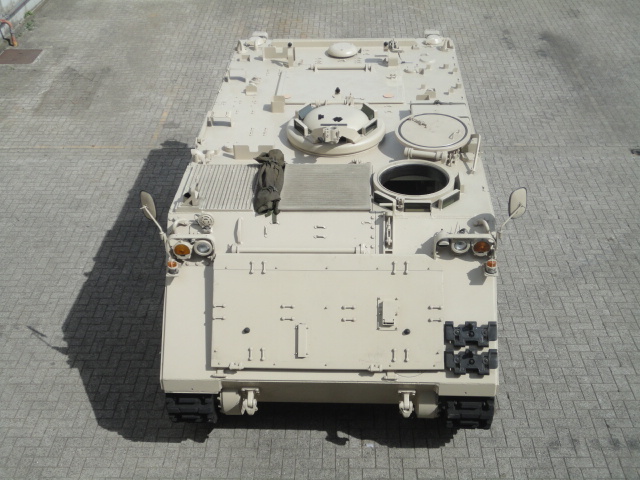 New armored external fuel tanks are available for M113A2 as well which frees up 16 cubic feet (0,45m³) of internal space.